Mezco is proud to announce the late-summer release of action figures based on Mike Mignola comic Hellboy published by Dark Horse Books (a division on Dark Horse Comics). 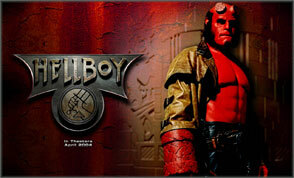 Series one will include Hellboy, Lobster Johnson, Mecha Ape with jarred Von Klempt head, and Liz Sherman. Figures will be approximately 7 Inch in scale and fully articulated.